I had two experiences in one day that reinforced how important a few simple words can be. The day began at the Hinsdale Metra Station, where, along with several partner organizations and volunteers, I was offering mental health information, green ribbons and a hot cup of coffee to commuters headed into the City. Most people took what was handed to them, and many were wearing their green ribbons by the time the train arrived to pick them up. Some people asked questions or shared stories about their son, daughter, spouse or what have you, who struggles with mental illness. What moved me the most was two young men who talked to us about a fraternity brother they had lost to suicide and then thanked us for going out and "starting a conversation." While trying to start the conversations though, I had a realization, which is that we live in an alarmingly isolating society. A person no longer stands on the train platform and chats with other commuters about the weather or the day ahead. There is silence instead as most people wear their headphones, listening to music or podcasts. The people without the headphones are surfing the web on their phones or tablets. Bottom line, people are wrapped in their own world rather than engaging with those around them. It made me feel sad for the people I was observing; so many opportunities missed, so many conversations to be had and connections to be made. Today you are looked at as an oddity for walking by a stranger and smiling or wishing them a nice day. Fast forward to that evening, I attended a screening of a documentary, "Suicide: The Ripple Effect." It is the story of Kevin Hines, a remarkable man who is one of the less than 1% of people who attempted to end his life by jumping off the Golden Gate Bridge and lived to tell about it. As Kevin tells his story, he speaks about how, standing there on the bridge contemplating dying, all he needed to decide to live was for someone to ask, "are you okay?" or "do you need help?". He was simply waiting for someone to care. Instead, the only person who approached him was a woman asking him to take a photo of her. How sad that the only interaction in this scenario was a selfish one. The movie went on to discuss the ripple effect of suicide, how it affects families, communities and generations to come. While that is true, I do not feel that was the message they were hoping to send the audience away with. Rather it was about the ripple effect the survivors and advocates are having on the lives of others. It emphasizes the discussions, the reaching out, and the simple, "are you okays" that change people's lives. It talks about the organizations worldwide that are bringing to light the problem and offering up solutions. As I write this, I wish to dedicate it to the commuters who I observed at the Hinsdale Metra Station standing alone in a crowd with their headphones on, and to the stranger who gave me a funny look when I smiled at him as we passed on the street. Please reach out to your fellow humans and wish them a nice day or see the pain in someone's face and ask, "are you okay?" or "do you need help?". Don't wait until tomorrow. Tomorrow may be too late for a stranger or a loved one. To repeat the words Kevin Hines has made his mantra, "Life is a gift, that is why they call it the present." Finally, this post is for the people who are feeling alone and isolated in this lonely world we have created for ourselves. 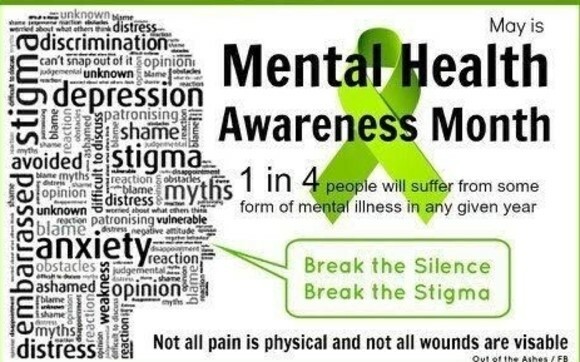 I go to work at NAMI every day to chip away at the stigma, to help people see there is no shame in having a mental illness, to help others understand it is okay not to be okay. I do it because recovery is possible, and no one should have to suffer alone. Please, if you are struggling seek the help you need. Do it for me, a stranger who cares about you and wants you to be here tomorrow.